CEYM is an international engineering and construction contractor, who	provides complete project management, system integration, process control, field support, electrical and mechanical construction to institutional, commercial, industrial and residential customers around the world. As an international EPC company has the capability and resources to undertake important projects on behalf of major companies. The company covers a complete scope of service offerings, as our teams are completely multidisciplinary, directly handling civil, structural, mechanical, piping, electrical and instrumentation design and construction. Our commitment to technology enables our customers to enjoy the transformation of their businesses into modern, efficient and more profitable operations. Our clients are assured of our wide industry experience, technical and managerial capabilities to undertake projects from their initial designing through the commissioning and hand over stages. With the resources, skills, and experience to solve and support any challenges, CEYM is an excellent choice for companies of all sizes looking for real and on schedule solutions. We help our customers to increase industrial productivity, to lower environmental impact in a sustainable way and we support our society through training and giving job opportunities for talented people. 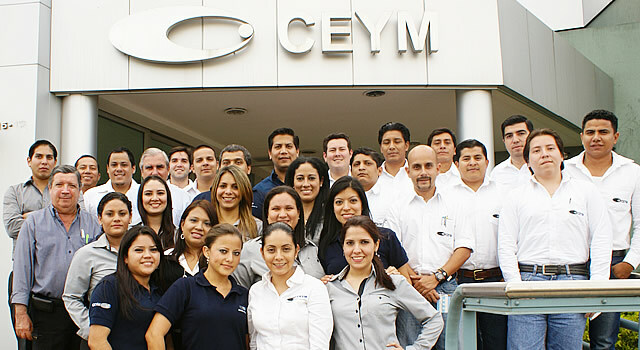 Establish CEYM as the premier engineering, procurement and construction company in Latin-America, while maintaining our uncompromising principles as we grow.